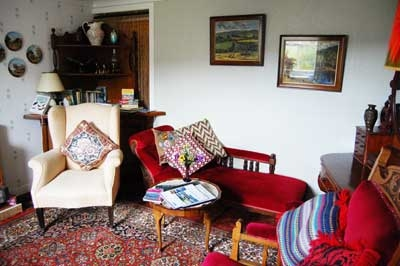 Original stone built semi-detached crofter's cottages in a quiet, secluded situation by the River Ewe. 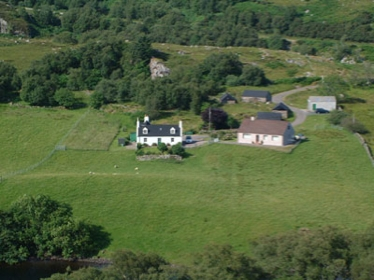 Each cottage has its own fenced garden area and beyond this there is spacious private grounds, bordering the banks of the river Ewe, for you to relax and enjoy the uninterrupted views of the mountains of Loch Maree. 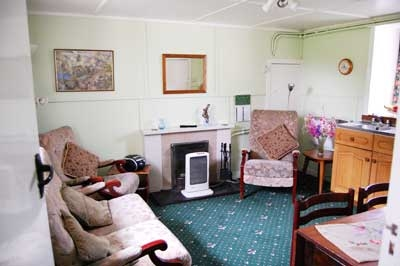 15A Crofter's Cottages - Entrance hall with stair leading to two bedrooms (one with double bed, one with two single beds). 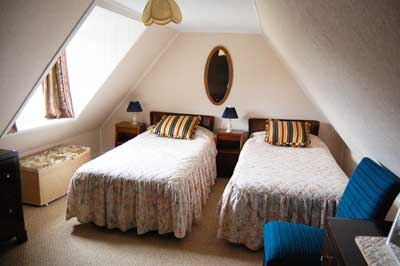 The ground floor has a large kitchen/eating area, sitting room (Freesat TV) and bath & shower. 15B Crofter's Cottages - Entrance porch with seating. Hallway with stair leading to two bedrooms (one double, one with two single beds). Please note: the stair is very steep, therefore the elderly or infirm may not find it suitable. On the ground floor you find the living room (Freesat TV) with eating area and kitchen galley along one wall, pantry and bath & shower. 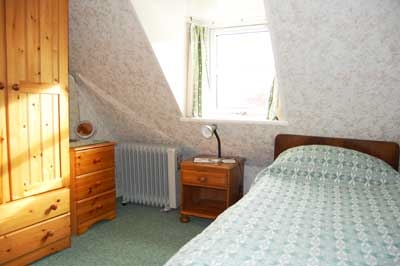 The properties are comfortably furnished to suit all seasons. The kitchen is equipped with electric cooker/grill, microwave oven, fridge and automatic washer/dryer. All bed linen is provided. As the local shop is closed on Sundays, you should take provisions with you. The shop telephone number is (01445) 781 240 if you need to order provisions in advance. 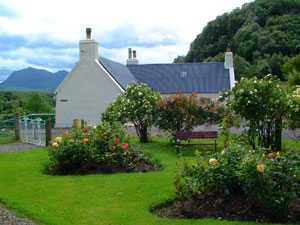 Public transport (Wester Bus) passes within walking distance from the cottages. To read reviews of my property, please click here. We stayed at Alex's cottage, and he never ceased to amaze us with his calm, soothing wonderfully-welcoming Highland greeting and ever-warm hospitality. 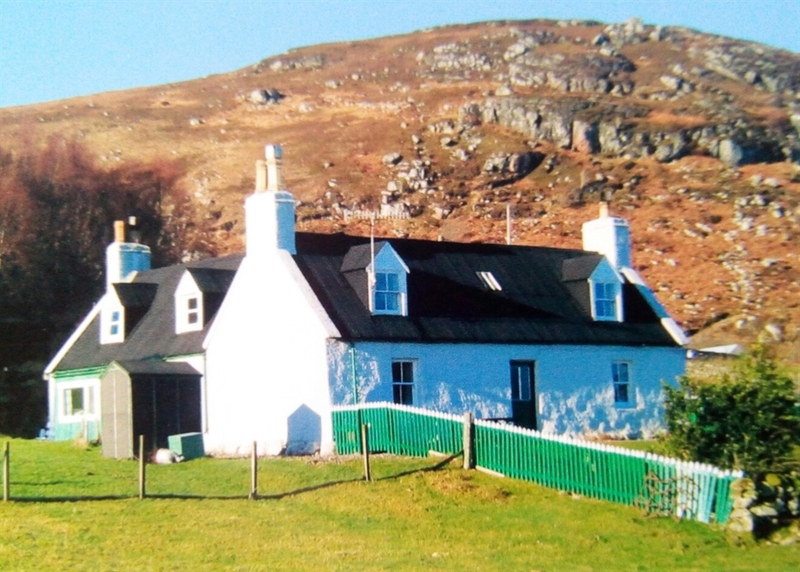 His home-from-home cottage was impeccably clean, cosy and ready for our care-free, get-away-from-it-all holiday in Wester Ross, an area of true outstanding natural beauty, yet an easy stroll to the village of Poolewe itself. We love the area and all that Scottish nature can throw at us. And there is plenty to explore and discover: A wealth of wildlife (a haven for twitchers), rambling in the hills, beach-combing, visiting some of the historical sites, ambling around the world-famous Poolewe Gardens, and visiting some rather lovely restaurants or cafes (offering the freshest sea-food you could wish for). 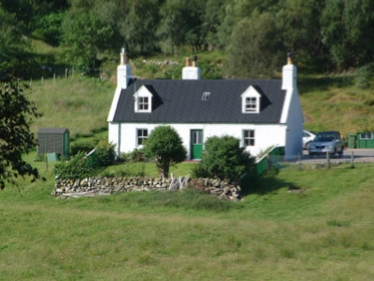 Croft Cottage is the perfect hide-away: Sit outside to enjoy the stunning views of Loch Maree and the surrounding mountains. This place is piece of Scottish Heaven, Alex the perfect gentleman and host.